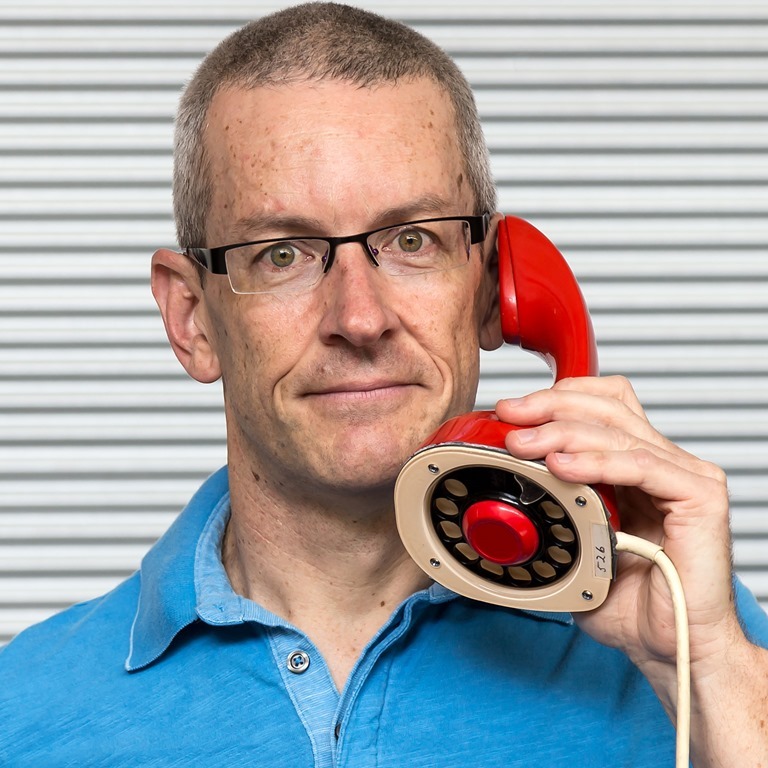 My ‘mugshot’ for 2015 is the wonderfully kitsch “Ericofon”. In some markets it’s known as the “Cobra” telephone. 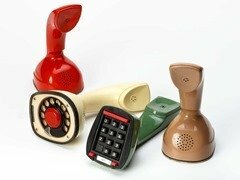 The Ericofon was introduced into Australia around 1963 as an alternative to the standard 800-series table phone. Their insides were fully imported from Sweden and the cases moulded locally, the phones then assembled in Ericsson’s Broadmeadows factory in Melbourne. “Jim’s Book” as it’s known in collector circles here says the Ericofon only reached 4% of the market and “never enjoyed great popularity with subscribers”. My copy of “Maintenance and Circuits”, published by the Australian Post Office (aka the PMG) is dated 1969 and includes the full circuitry and parts list in case I ever need to do some running repairs. I’m lucky to possess examples of 3 of the 5 colours it was marketed in here: Ivory, Silver Grey, Surf Green, Mushroom and Carnival Red. We only ever saw the rotary dial version in Australia. The green pushbutton version in the photo below is an eBay import. If you look closely at the photo, the bottom row of buttons doesn’t have the now traditional * and # straddling the zero, only an R (presumably for Redial?) on the right. It’s a decadic/pulse version. All of the Australian Ericofons had a fixed line cord, but Glen’s digitally removed those from the photo for clarity. The green one has an RJ-style socket for its line cord. Most of mine suffer a perished rubber gasket at the bottom, and many you’ll see for sale online have chips around the base from where they’ve been dropped, or the plastic base is broken around one or more of the 4 screws around the dial that hold the assembly together. They’re not generally a “plug and play” item due to the way their 6-conductor line cord was wired for “anti-tinkling” when used with other phones in the home, so an unmodified phone might be able to make calls but won’t ring. That’s easily fixed. If maintained they still work well, adding a lovely retro feel to any home. A friend of mine nearby still has one in his kitchen.